The Cowshed Spa at the Soho House Chicago has rustic charm combined with the comfort of a proper English home. Crystal chandeliers and reclaimed wood adorn the walls. Cleverly named organic products line the shelves. All around you will notice nods to the first Soho House Spa in Somerset, England which was built inside of an old cow barn. 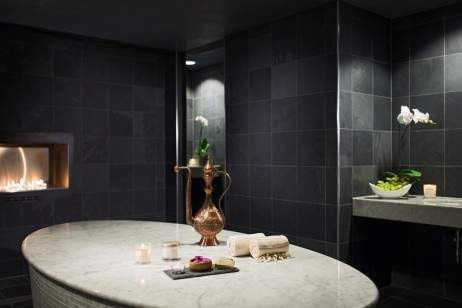 The upscale spa offers uniquely indulgent treatments. 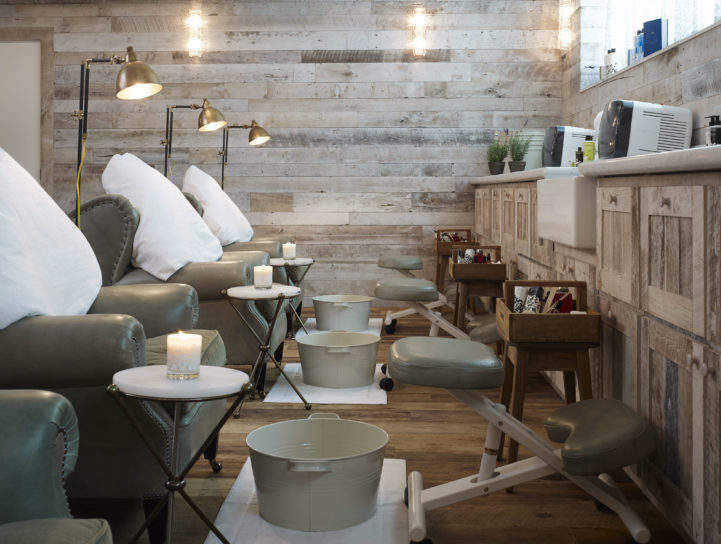 Enjoy the Ultimate Cowshed Pedicure from a tufted arm chair while a nail tech files, tidies and uncovers smooth skin with a signature exfoliation tool. The pedicure is topped off with a relaxing scalp and shoulder massage. The Evening Primrose Body Wrap is also not to be missed. It begins with a dry body brushing followed by a full body scrub. Once your skin is prepared, the aesthetician applies a hydrating Evening Primrose mask. You are then cocooned in a sheet to enjoy a mini-facial, while the mask works its magic. A full body massage completes the treatment. You will emerge completely relaxed. Soho House encourages guests to enjoy themselves. Instead of the classic cucumber spa water, try an Eastern Standard, a refreshing gin based cocktail with cucumber and lime. Sip, relax and unwind at the Cowshed Spa.